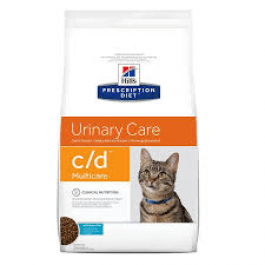 Hill's Prescription Diet c/d - Multicare Feline with Ocean Fish is recommended for initial nutritional management of cats with any type of Feline Lower Urinary Tract Disease (FLUTD), including crystalluria and/or urolithiasis from any cause, urethral plugs and idiopathic cystitis. Clinically proven to dissolve struvite stones in as little as 14 days. Rice, chicken and turkey meal, maize gluten meal, animal fat, tuna meal (8%), flaxseed, minerals, digest, fish oil, vitamins, taurine, trace elements and beta-carotene. Preservative and antioxidant. 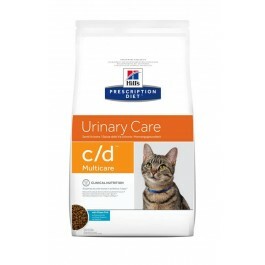 Hill's Prescription Diet c/d - Multicare Feline with Ocean Fish should be recommended by your veterinary surgeon. 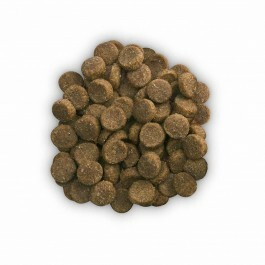 For detailed information on feeding amounts and how this food can help your pet, please consult your veterinary surgeon. These ranges are a starting point only because pets' needs vary. Adjust the feeding amount to maintain optimal body weight.